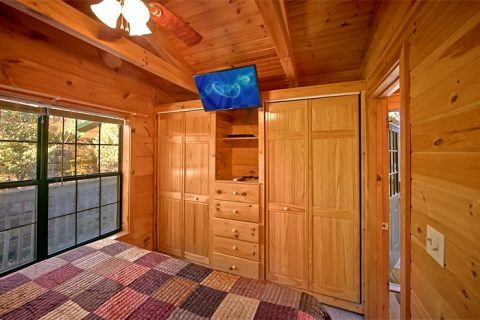 "Enchanted Moment," an adorable 1-bedroom Smoky Mountains honeymoon cabin near Dollywood in Pigeon Forge's Paradise Ridge Resort, provides vacationers to the Smokies with a cabin built for two. 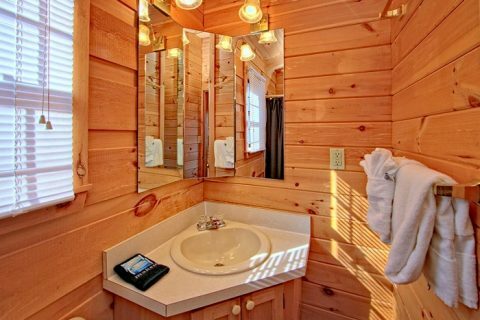 Your Pigeon Forge cabin provides fast access to the action-packed Parkway's thrilling adventures, live stage performances, restaurants and so much more! 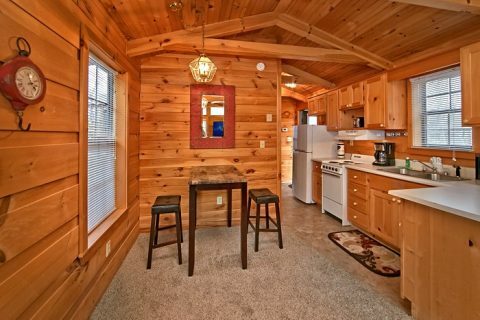 Whether you're planning a memorable honeymoon or just looking for a cabin near Dollywood to reconnect away from your daily routines, "Enchanted Moment" provides comfortable, yet highly affordable lodgings in the center of all there is to enjoy in the Tennessee Smoky Mountains. 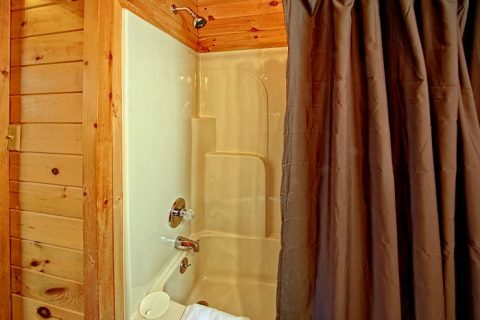 There is plenty to love within your Smoky Mountains honeymoon cabin as well. 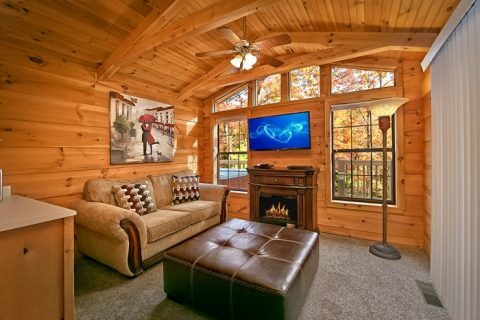 Lounge on the plush sofa and enjoy movies on the 40-inch flat screen television. 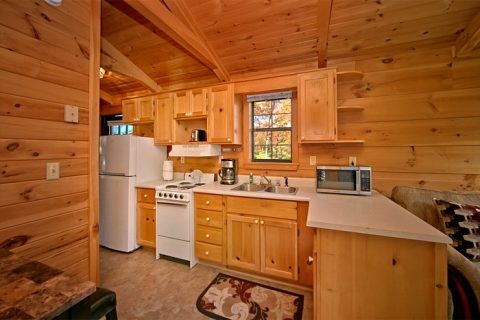 Forget making reservations at a restaurant - you can cook 4-course meal anytime in the fully equipped kitchen and grill succulent steaks on the charcoal grill at your Pigeon Forge cabin. 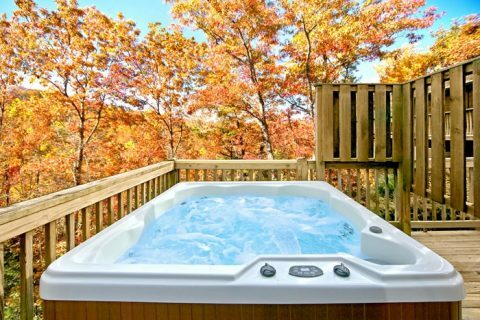 Soak in the warmth of the outdoors year-round hot tub and, in the cooler months, bask in the warm glow of the electric fireplace. 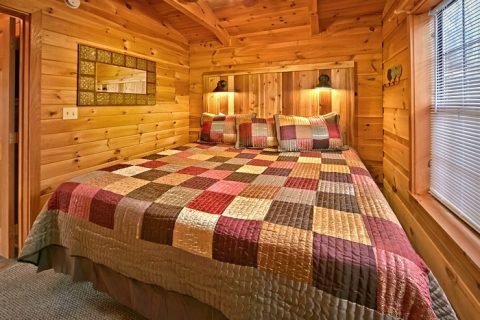 When it's time to hit the hay, snuggle under the covers of your comfortable king-size bed. 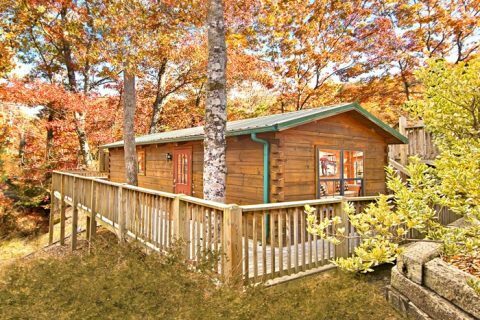 Remember, when you book "Enchanted Moment "or another Smoky Mountains honeymoon cabin near Dollywood with Cabins USA online, you get an immediate Online Cabin Discount!